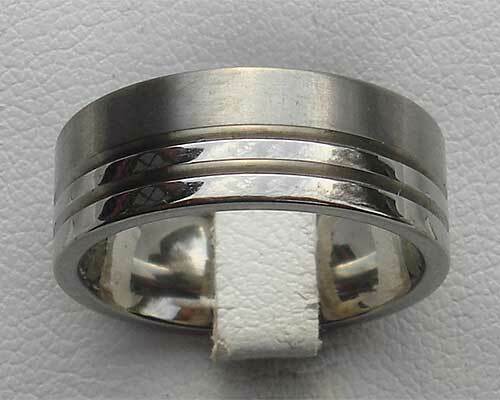 A flat profile titanium wedding ring with twin grooves machined off centre to create a two-tone appearance. The finishing comes with a twin style with the more significant section on one half being satin and the grooves section polished. We sell this particular titanium wedding ring to a lot of guys, but the thinner widths will make a suitable ladies wedding ring also. Please email us for further information.